As discussed briefly in my last blog post, there were populations of organisms from our own genus, Homo, that were so different from our ancestors that most scientists consider them their own species. These “people” lived long ago. However, the idea that they are their own species should be taken with a certain degree of criticism because of science’s loose interpretation as to what exactly constitutes a “species.” When discussing Neanderthals (Homo neanderthalensis), nobody can argue against the fact that they were fairly distinct from our ancestors (Homo sapiens). However, the extent of this distinction is worth discussing. For example, ancient Homo sapiens diverged from the Neanderthals at around the same approximate point in history in which western chimpanzees diverged from eastern chimpanzees (Prado-Martinez, et al. 2013). Despite this fact, we consider humans and Neanderthals different species, yet we consider eastern and western chimpanzees simply different subspecies. As we know, all human life began in Africa. All scientific evidence points to this fact. Our people eventually migrated out of Africa, but it appears as though the Neanderthals did this before our ancestors did. In fact, the majority of skeletal remains found from the Neanderthals were located in Europe. When they split off from the ancient group that contained both our ancestors and their ancestors, they likely migrated out of Africa through the North Eastern regions of the continent. They then traveled to Europe where they were able to continue evolving and developing the traits that made them unique from our own species. The discovery of Neanderthals was a grand one in scientific history, but it appears as though they were not the only group of “Homo” in the world other than our own species. In 2010, a discovery was made in the Altai Mountains of Siberia. Specifically, it was made in a cave known as the Denisova Cave. The remains consisted mainly of a finger bone and a few molars (teeth). Despite the fragmented remains coming from different individuals, scientists were able to discover that they came from a new species that lived approximately 41,000 years ago! This species is now aptly named the Denisovans. One might now be wondering how it is possible to tell that this was another species with nothing more than a few teeth and a finger bone from 41,000 years ago. The process is not a simple one, but it involves the isolation and amplification of ancient DNA from these sample. The isolation is necessary because there is so much “other” DNA that mixes with the ancient DNA. For example, countless bacteria exist, live, and thrive in the Denisova Cave, just as they do on the rest of our planet. Luckily, we are able to differentiate Hominin and bacterial DNA through bioinformatic analyses fairly simply because the two differ greatly. Then you run into the issue of “human contamination,” so you also need to separate the ancient DNA out from the highly similar human DNA that comes from the excavators and scientists working with the samples. Lastly, amplification is needed because only an extremely small amount of ancient DNA exists after 41,000 years. Amplification is done through a process known as polymerase chain reactions, AKA PCR, which takes a small amount of DNA and replicates it over and over again until you have enough to study. I will discuss this process further in a future blog post. It is important to note that since these findings, there has also been evidence of other “ghost” hominin species similar to these ones. However, most of these were likely in Africa, where the hot humid climate is not conducive to the fossilization process. For example, there is evidence that another hominin species known as Homo erectus existed, but scientists have not yet been able to sequence DNA from the fossilized remains that were found. 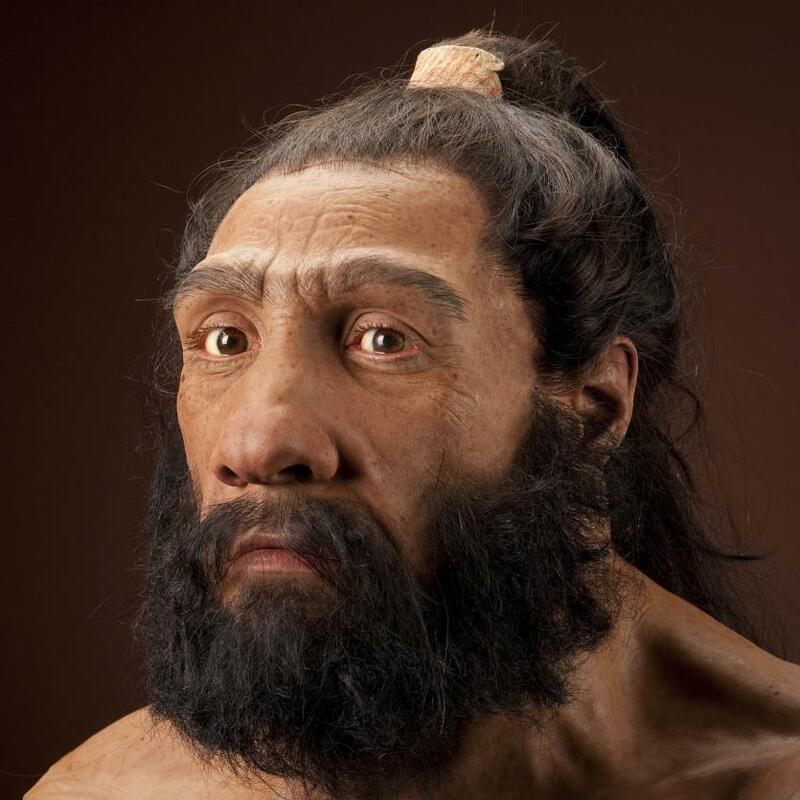 In my next blog post, I will discuss how our ancestors mated with the Neanderthal and Denisovan people and the imprints that this left on our genetic signatures. Until next week, carry on with curiosity! Prado-Martinez, J., Sudmant, P. H., Kidd, J. M., Li, H., Kelley, J. L., Lorente-Galdos, B., … & Cagan, A. (2013). Great ape genetic diversity and population history. Nature, 499(7459), 471-475.